To celebrate the successful partnership of must‐have jewellery brand, Endless Jewelry and leading local retailer Sneezums, customers in and around Bury St Edmunds are invited to attend a special VIP Event in the colourful spirit of Endless Jewelry on Tuesday 27th October! Taking place from 2pm-7pm, shoppers in Bury St Edmunds can head to Sneezums Jewellers at 10 Cornhill, where they can discover Endless Jewelry’s brand new leather and silver charm bracelet collection, and take up Sneezums’ special offer of a FREE CHARM and goodie bag for customers that purchase an Endless bracelet on the day. There will also be a competition to win an Endless charm bracelet and silver charms worth £200! Guests will have the opportunity to preview and pre-order items from the Autumn/Winter 2015 range, as Sneezums will showcase the latest collections from Endless, including its first collection of necklaces and three‐string leather bracelets, priced from £35, and the brand new AW15 Jennifer Lopez Collection for Endless Jewelry, including its first ever silver charm bracelet, priced from £55. Endless Jewelry is all about having fun with your jewellery: celebrating life with colour ad charms to suit your style! The brand’s playful bracelet and charm collections are designed to mix-and‐match to fit with your any outfit, any style and any mood, whether your casual jeans or dressed up for a special dinner. Superstar Jennifer Lopez is Endless Jewelry’s brand ambassador and co‐designer of the award‐winning Jennifer Lopez Collection by Endless Jewelry, which features snakeskin and metallic bracelets with statement silver and gold plated charms. Endless has been named ‘the world’s fastest growing jewellery brand’ and this exclusive VIP event takes place at Sneezums, specially for local jewellery lovers. During the Sneezums VIP Event, guests will become a part of the vibrant and warm Endless World while enjoying the chance to play with Endless Jewelry’s countless beautiful silver and gold plated charms, and its colourful array of leather bracelets and necklaces. 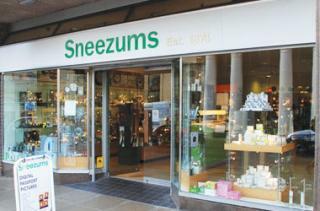 Endless Jewelry Founder Jesper Nielsen said: “We’re very excited about our event with Sneezums. Endless is so much more than just a bracelet brand; it’s all about being close to the women out there, who share our values of being yourself and daring to add some colour to it all.